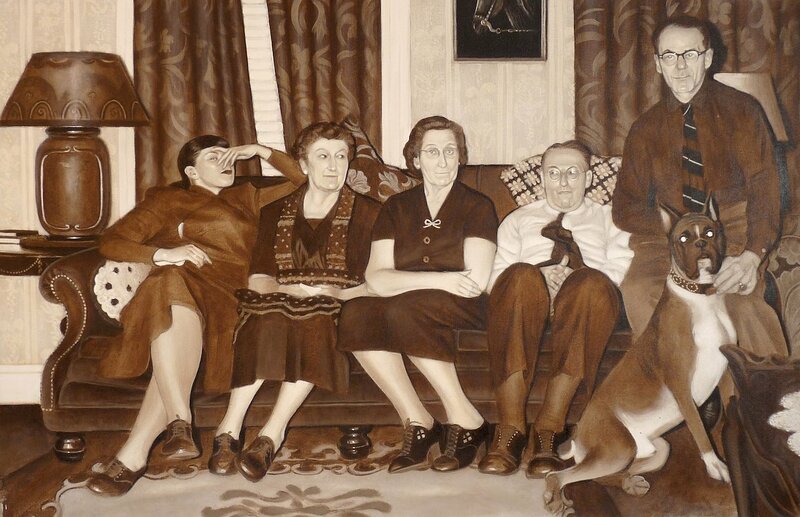 ‘Family gathering’, acrylic on canvas. 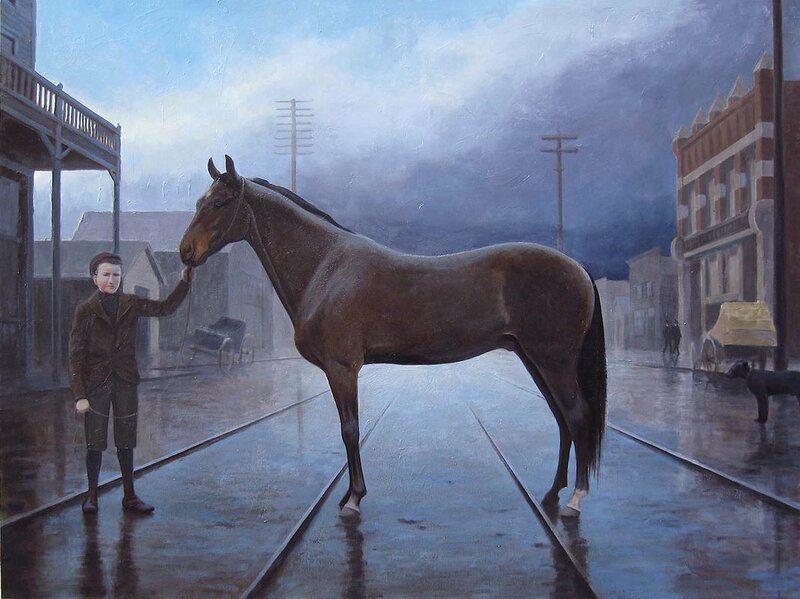 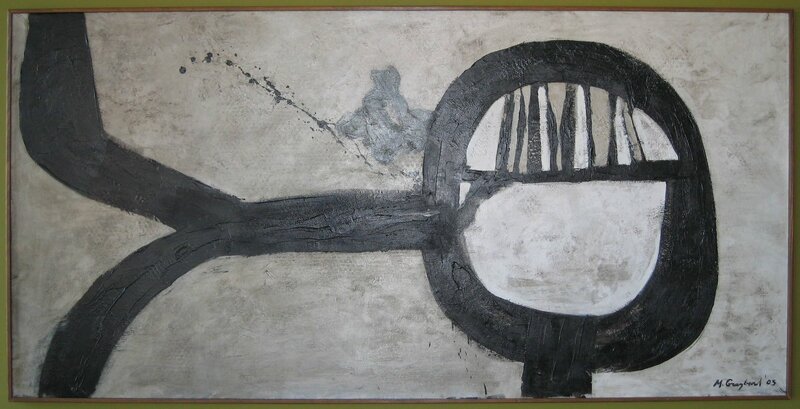 ‘Hastings horse’, oil on canvas. 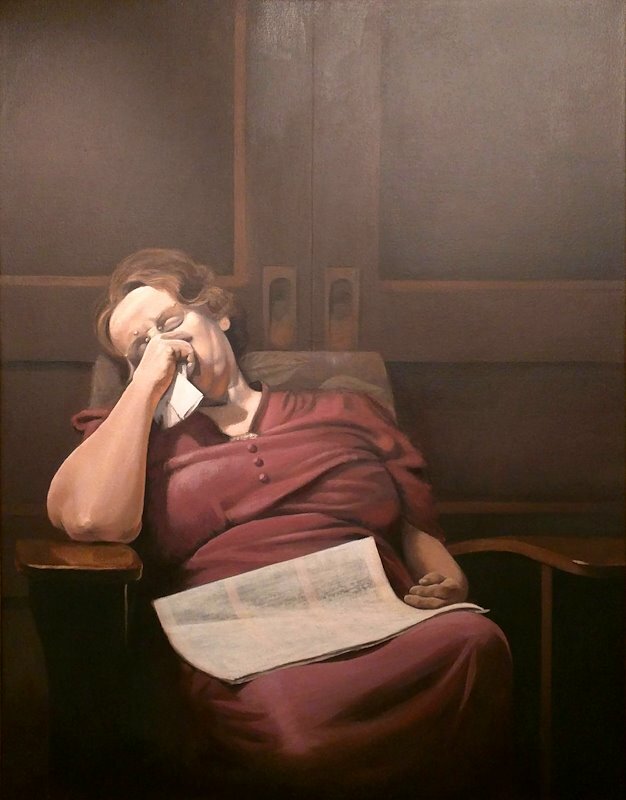 ‘The warning’, oil on canvas. 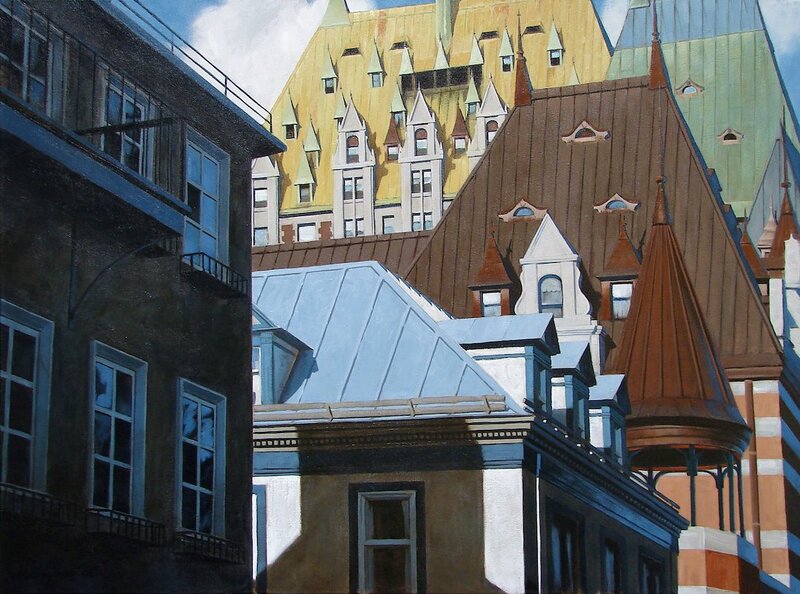 ‘Chateau Frontenac’, Acrylic on canvas. 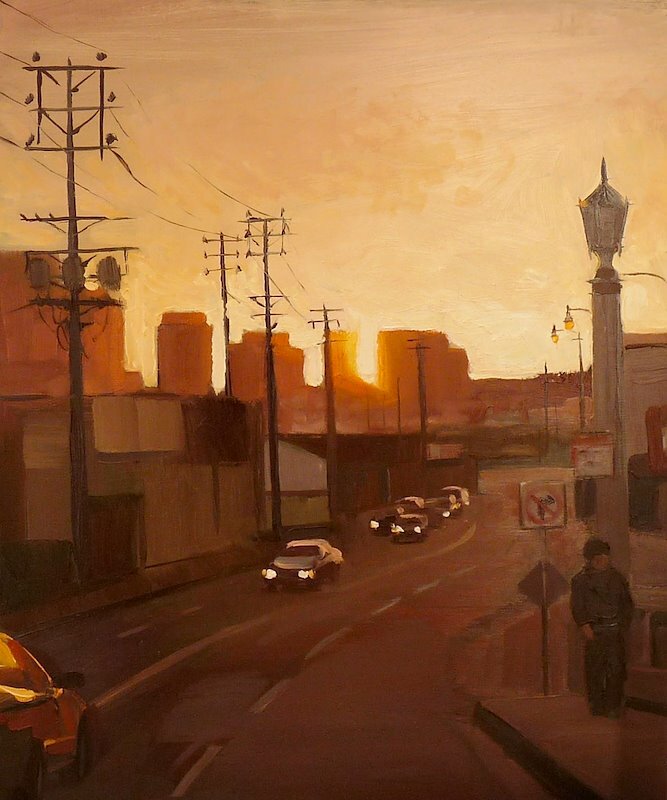 ‘N Spring St, Los Angeles’, oil on board. 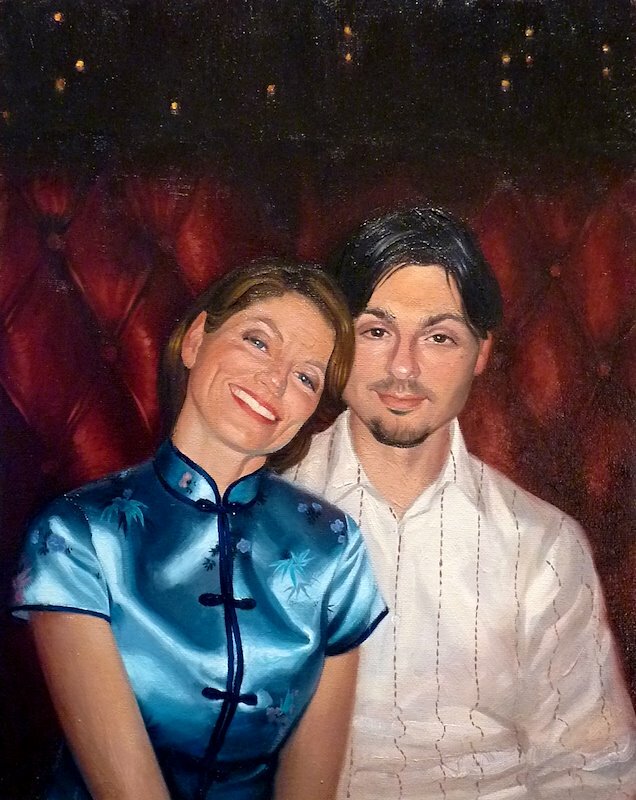 ‘Ryan and Sarah’, oil on board. 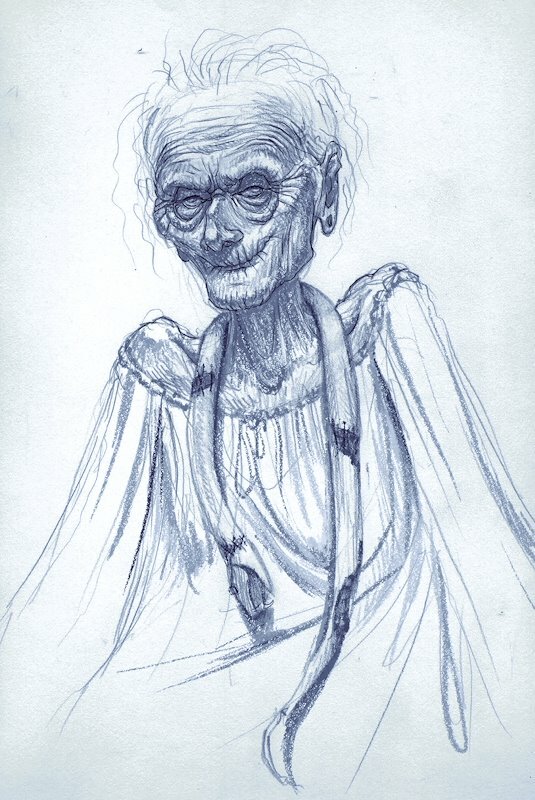 ‘Rhea of the Coos’, pencil sketch.